Peter Long on Chess: Back To My First Love! The end of April 2017 saw my setting up the Institute for Chess Excellence at the request of the leadership of the Malaysian Chess Federation (MCF) to also serve as a National Chess Academy to facilitate much needed "education and training" for the local chess community. Good or bad, just some three months later, in July, I also ended up as MCF Secretary, a post that I did not ask for or want, as I told MCF President Datuk Zahidi Zainul Abidin but reluctantly agreed to as "national service". Of course, when I take on something, I put everything into it but as I have always reminded everyone, I serve only by appointment and/or as long as the MCF Council needs me and so by the first quarter of this year, not only was it impossible financially, but the job was interfering with what I really wanted to do and I was looking to exit. MCF, like Malaysia, is in great need of structural change and that requires a paradigm shift in values and an end to vested interests we have become so used to for much too long. The good news is the new generation is ready but they will need to step up to have the chess they want. I thank Datuk Zahidi for the opportunity to serve but have also recognised that he is primarily a BN-UMNO politician, and so his actions will be necessarily less for the game but for accommodation of his audience or "grassroots support" as communicated to him by his people. 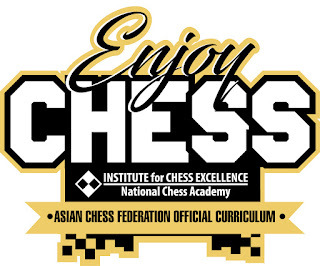 Effectively I had stepped aside since 31 March 2018 but thanks to prior obligations in Thailand for most of April, it has only been from 1 May 2018 that I have been able to start again full time at the Institute of Chess Excellence without any conflict of interest or need to support national development with my own money. The best thing is that without the drain of having to deal with endless politics, corruption and negativity, I have much of my old energy back and am very much back in control of my environment by refocusing on offering training to help develop today's young talent. Hopefully I can continue to do this at a good level for the next two or three years given I am not a young man anymore!